As mentioned a few days ago in the Saturday Hitters article, this week’s Hitting+Pitching, Buying+Selling article is being broken up into two parts, with today’s piece handling the Starting Pitchers. I break down three SPs in my outlook section, and also look at the most added and most dropped Starting Pitchers over the last couple weeks. If you’re used to my normal articles, these may seem a bit short, but this is more of a part 2 or continuation of Saturday’s piece. But without further ado, here are the new Outlooks. We’ve only seen three starts in the young career of Jonathan Loaisiga, but we’re seeing signs that this can be a bright and compelling starter for the Yankees both now and into the future. Firstly, it is still worth pointing out, like it was with German a few weeks ago, that Yankee Stadium is next to Coors when it comes to my fear of ballpark. I don’t think it’s at Coors level— I don’t really think any park is. But, at least in terms of the HR, Yankee might still be in a league of its own. And this is obviously a problem for all pitchers. We think of baseball as individual events because that’s how we break up advanced metrics, but baseball is a game of isolated incidents. The difference between that five feet of fence can be the difference between “0.1 IP” on your Game Log and “4 ERs” on your game log. Having said that, I like Loaisiga quite a bit. The Strikeout potential is evident and jumps off the page. 11.57 K/9 through his first three starts, or 18 Ks in 14 IPs, draws fantasy interest right away. The control numbers have been a bit funky, and in only 14 IPs, I don’t know exactly my opinion about his future in terms of BBs. Loaisiga has barely played even in the upper minors, so the lack of even high level minor league numbers gives us very little data to work with, but Loaisiga did have great control in his first few starts at A+ and AA, so I think there’s reasons for optimism in this regard. What I love about Loaisiga isn’t the usage though, but the results. The whiffs are incredible. 8% on the fastball is solid, but getting over 20% on both Curve and Change is fantastic. The closest thing he has to a problem pitch in terms of damage early is a .400 SLG on his Change-Up, and his Fastball and Curve are holding elite at .250 or below. Again, these are incredibly small sample sizes. But if you’re going to wait for months to evaluate a pitcher, you’re going to lose out in certain leagues. I like to see pitchers, even in small samples, excel in these specific ways that Loaisiga is excelling. One last factor that continues to showcase why I’m so much more optimistic about Loaisiga than I was German is the above average GB%. Unlike German, who was in a lower percentile group, Loaisiga is above average. And the pitch-specific GB%’s that I like to see hold true as well: his change-up and curve have produced far above average GB%’s, suggesting to me he can use specific pitches to induce the type of contact he wants. Verdict: BUY. Will he stay in the rotation? It’s certainly a question. But I like the talent considerably more than teammate Domingo German. My #1 suggested add under 10% owned last week, I was shocked to see that Andrew Suarez, just over 5% owned, was dropped in roughly 50% of the leagues he was owned in because he goes up against Colorado this week. Yeah, it’s a terrible start. But Andrew Suarez someone I’m willing to hold onto even on my bench so that I can have him moving forward. Let’s just start off with what Andrew Suarez has done in June: a 2.62 ERA, 1.19 WHIP, and 4+ K/BB. His last three bad starts? @ Washington, @ Houston, @ Colorado. Bad, worse, WORST. And I think Suarez profiles as a predictable starter. Fastball’s a bit hittable, but he’s a good pitcher. Ball gets hit hard, but he usually plays in a big park. His Home ERA has been good throughout the season. Now he’s putting together a good road start against a heating up Arizona in the desert… and we’re dropping because of one match-up we don’t like? Fantasy travesty. Some seem to have this, in my opinion completely inaccurate idea, that Suarez is this player who at best can be a fifth starter. Why? How many 5th Starters come out in their career and have 66 Ks to only 15 BBs in their first 71 IPs? This guy seems quite a bit better than that to me. I mention arsenals often, and Suarez throws all four of the base pitches. He has two breaking balls and a change-up. And while the Fastball I myself will knock, those three pitches I believe all have considerable upside. What’s more, when you’re a good pitcher and can learn how to mix a Cutter and Change-Up in, it makes the fastball look better in comparison. And that fastball does have good velocity from the left handed side. Maybe June isn’t him learning those types of things and learning how to pitch… but what if it is? What if this guy is a mid-3’s ERA, high-7-low-8 K/9 type? And I think, as a 25 Year Old who was semi-known in the Giants organization, Suarez could also be a young staple of this rotation for years to come. At worst, he’s a solid home streamer that already seems to be better than Derek Holland. Verdict: BUY. This guy is so under appreciated to me it isn’t even funny. There’s times where you kinda disagree with the market and there’s time where you think the market is just wrong. When I’m getting questions about if a 25-Year-Old 4-Pitch pitcher in AT&T is worth adding in a 16-20 Team Dynasty league, something is seriously wrong. And that’s the real problem with Velasquez: if you can dodge the land mines, or if the land mines don’t come up often, he’s a really good pitcher. I’d equate it to a Newcomb or a Snell to a large extent, as both until recently were starters who would have poor control/poor outings, seemingly at random, and these would blow-up your ratios. I don’t believe, like them, that Velasquez has made that turn yet however. Just for one example of just how good Velasquez is though when he’s on. I removed his worst 4 starts, a combined 15 IP and 24 ERs. Without these starts, his ERA sits pretty at 2.70. But again, it’s like you’re playing minesweeper: sometimes it doesn’t really matter how many times you clicked and didn’t hit the mine. When you hit one mine, they all blow up just the same. One specific problem that Vincent Velasquez seems to have is a limited arsenal. He’s gone away from his Change-Up more and more throughout the season and incorporated more of the 2-Breaking Ball approach. This isn’t ideal compared to throwing a change-up, but it isn’t awful by any stretch. Kershaw doesn’t really throw a change-up. But unlike the aforementioned, Velasquez’s Curveball has not been a very effective pitch so far this year (.317 BA, .517 SLG). Having something better to off-set splits is the number one thing that would help me believe in Velasquez. And, while his fastball is by no means bad, it does have a relatively high ISO and does get slugged. The only pitch that is really shown consistently to be a great offering is the Slider. At the end of the day, the clearest way I could put it is the minesweeper analogy. If you can play the game and avoid the mine field, you’ll be happy. Hitting the mine could be game over though. And right now the Arsenal doesn’t suggest to me that these blow-ups are a fluke. This just seems to be something that will be in the profile for Velasquez. Verdict: Hold. Velasquez, who recently hit the 10 day DL for taking a come backer, is not a player I’m particularly fond of, as I hate random blow-ups. But he isn’t being too highly valued either. Freddy Peralta is the most added SP in ESPN leagues. I’m not sold yet. As someone dedicated to the strength of an arsenal, I’m obviously going to take a long time to buy into a guy who excels on multiple fastballs and a cutter. I think the upside is there enough to own or hold, but he’s not the horse I’m putting the most money on, and I’m more likely to sell in leagues where I own if I can find a legitimate buyer. I prefer the second most added SP, Shane Bieber, in part due to the incredible division he gets to play against. Zach Eflin and Brent Suter are two SPs who are being added that I like. Eflin in particular. Suter has a bit of limited upside, and may be a bit more of a match-ups play, but Milwaukee is a solid situation to be in especially with the offense behind him. Eflin I really like as a pitcher and arsenal. I think there’s some potential in both his fastball breaking-ball combo and also his ability to mix his pitches to keep hitters off-balance. I’m not completely sold on Eflin yet, but he could be in the position of a new outlook by this time next week. Domingo German is the most dropped (non-injured) SP in ESPN leagues. And I think that’s fair and predictable. I like German. I think he has a good shot of having a decent outing against Toronto next weekend, but ultimately he plays in a terrible park for a pitcher who’s going to give up the Hard% and FB% that he does. You can’t get hit that hard and hit that much in the air in Yankee stadium and expect to not ever get a black eye. Domingo German will leave your fantasy team with a couple black eyes, and so that’s why I’m with the market here in shying away from Domingo. Walker Buehler however is a pitcher that I don’t think should be dropped in so many leagues. Yes he’s been out of commission for a while and had a few clunkers along the way, but this is an incredibly talented pitcher who could still have ten or a dozen starts the rest of the season for a quality team in a quality park. Obviously there’s plenty of conditions that you’re fantasy team could be dealing with. You need to be able to store him on the DL or on the Bench, but either way, if you can afford the spot, I believe Buehler is absolutely worth it. Next week will return to the same format, covering hitters and pitchers, but will release on Mondays. 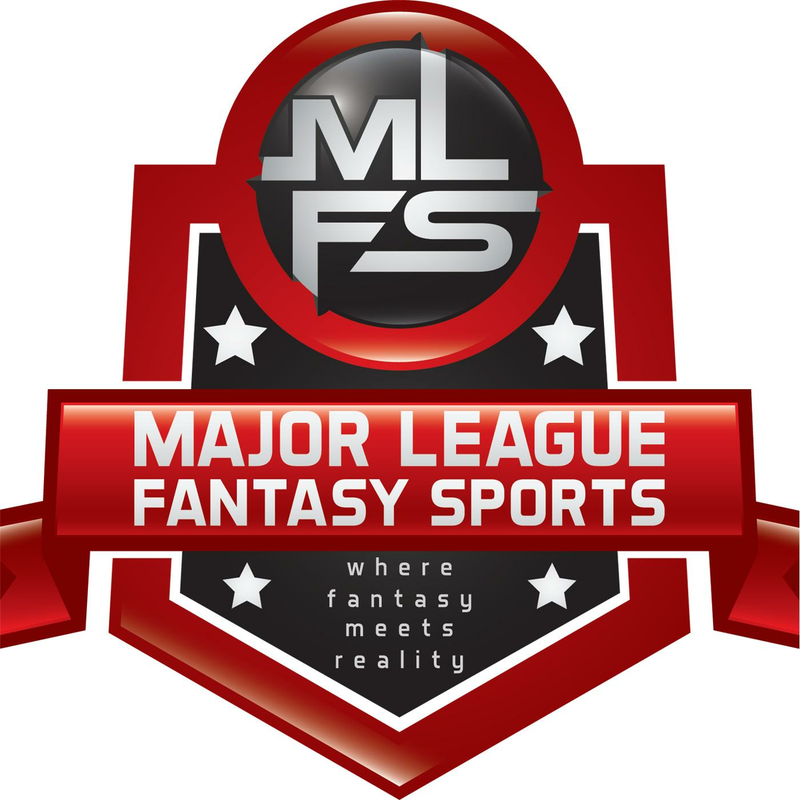 Kyle is a writer with majorleaguefantasysports.com going on his 5th year. He focuses primarily on baseball, but is a fantasy football fan and analyst as well.